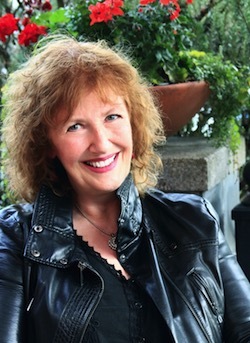 Valerie Brooks will lead a workshop at Colonyhouse titled Writing Dark, Writing Noir: Noir’s resurgence, its importance, and how to write it. The workshop happens Sunday through Friday, September 2-7, 2018, at the OWC Colonyhouse in Rockaway Beach. Residents will arrive Sunday, Sept. 2, after 4 p.m. That evening will be used for introductions, settling in, learning house rules and use, and reviewing the five-day schedule. Before to the residency, participants will receive a simple questionnaire about their work and what they’d like from the week, along with specifics about their work and what they’d like to discuss. Snacks and drinks will be provided, including coffee and tea. Please bring your own food for meals. When you sign up, you’ll receive instructions for what to bring to the house and directions. The week ends at 2 p.m. Friday, Sept. 7, after a wrap up that morning. The cost of the workshop is $290 for the week if you stay in the house; $125 for workshop only, lodging elsewhere. For more information about the week, email Valerie. Valerie J. Brooks is the author of NOIR TRAVEL STORY SERIES, noir stories that combine with Valerie’s love of travel to ordinary and exotic lands. In October her first full-length noir novel, Revenge in 3 Parts, will be published and launched via the University of Oregon. 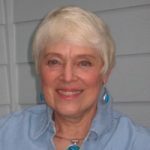 Valerie has received a grant from the Elizabeth George Foundation and the Monticello Award for Fiction. She was awarded writing residencies at Villa Montalvo for the Arts, Hedgebrook, Soapstone, Vermont Studio Center and Playa. During college, she studied film noir and became obsessed with the form. She finally understood what her mom told her early on: “You’re a good girl who wants to be bad.” She’s found her way to be bad without ending up in jail.